Each Tea4K black tea k cup is filled with Camellia Sinensis tea leaves. 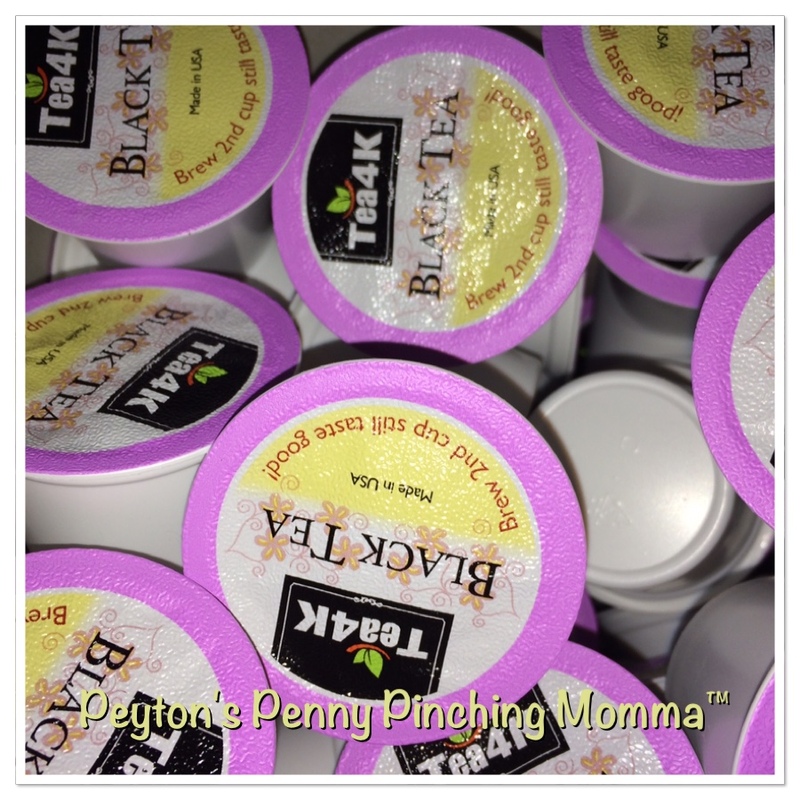 Each cup brewed delivers a smooth, rich black tea that can be served as is, I like to brew a few k cups (each one twice) and then add some sugar and lemon to the pitcher and serve over ice. There’s nothing like a fresh cup of black tea with lemon over ice. One of my favorite features of the Tea4K k cup is I can brew it twice. It tastes just and flavorful the second time around as it does the first. So it’s really like you are getting 72 k cup not 36. So it saves me space because storing 36 k cups is much easier than storing 72 k cups. It save me money because it makes double the amount. And it’s easier on the environment because it can be used more than once and then recycled. You can purchase Tea4K on Amazon.